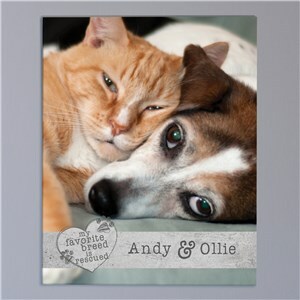 When your pet is as loved as yours, you want to celebrate and honor the relationship you have! 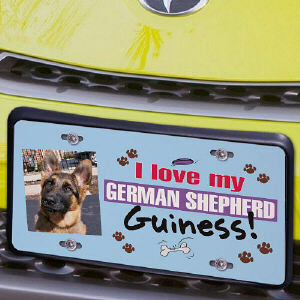 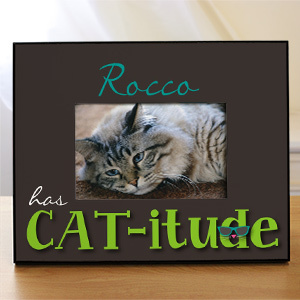 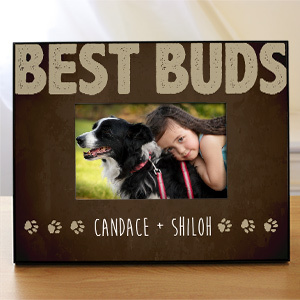 Show off your awesome pet with a photo in one of our personalized pet picture frames. 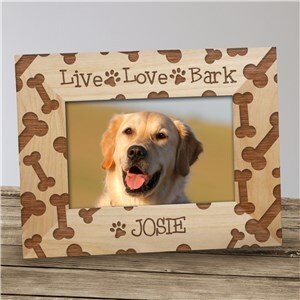 Choose your favorite design and have their name and other details added, free! 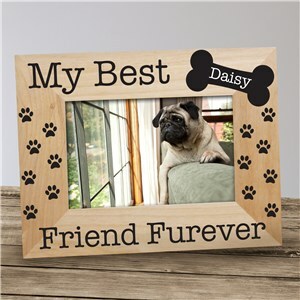 I've ordered from your company several times and have always been extremely pleased!! 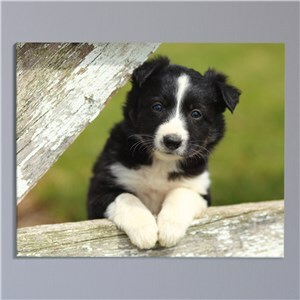 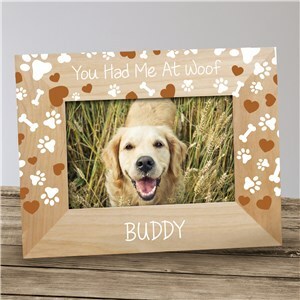 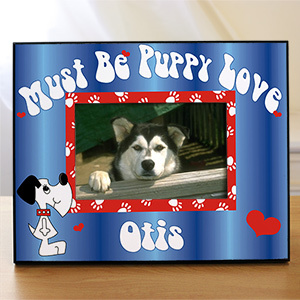 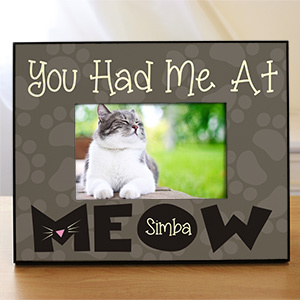 Personalized Pet Lover Photo Frames for your wonderful cat or dog are thoughtful personalized gifts sure to be well received by your favorite Pet Lovers. 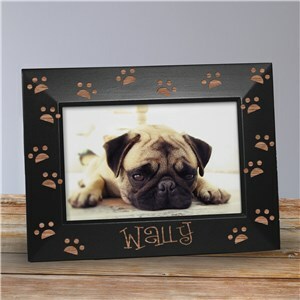 Pet Picture Frames are great Personalized Gifts! 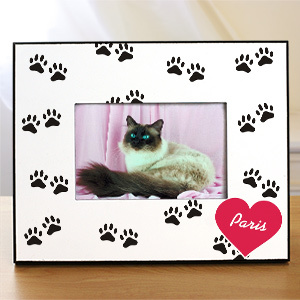 Your pet is one of a kind – why show them off in a plain picture frame? 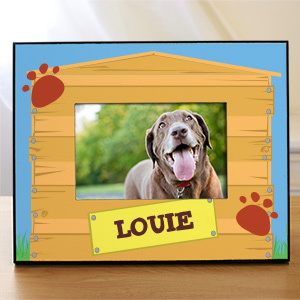 Photo frames are personalized with your pet’s name – no matter the spelling! 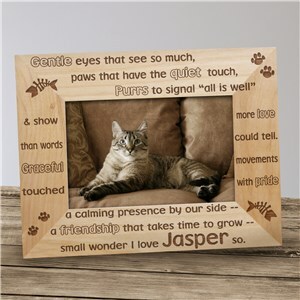 Engraved, Etched, Printed, Glass and more – picture frames are a timeless gift. 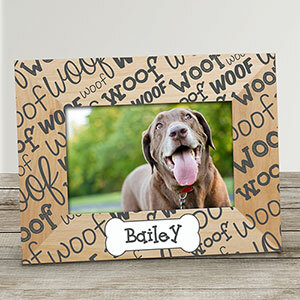 Important dates are highlighted on your special gifts forever – great for birthdays, “Gotcha Days” and more! 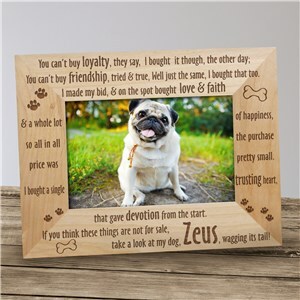 Purchase your personalized online shopping selection with delivery for about the same low price as something from a big box store.